Substance use harms the body. And recovery from substance use can affect metabolism, organ function, and mental well-being. The impact of addiction is far-reaching and can require nutritional support to return to optimal health and prevent relapse. Alcohol causes a deficiency in B vitamins (B1, B6, and folic acid). Lacking these essential nutrients can cause anemia and neurological problems. Alcohol also causes damage to two major organs: the liver and the pancreas. Opiates such as codeine, oxycodone, heroin, and morphine, affect the gastrointestinal system. Constipation is very common. Symptoms common during withdrawal include diarrhea and nausea or vomiting. Stimulants such as crack, cocaine, and methamphetamine, reduce appetite that can lead to weight loss and poor nutrition. Memory problems, which may be permanent, are also a complication of long-term stimulant use. Is it time to prioritize nutrition as a treatment modality? The notion of food addiction is no longer controversial. There are sufficient studies to support this concept. What is controversial is the approach to nutritional treatment. What makes sense is to work toward reducing exposure to addictive substances. However, those of us who specialize in nutrition counseling can attest to the fact that attempts at restricting certain foods may lead to bingeing followed by guilt, shame, and remorse. Those seeking addiction treatment should be screened for a possible eating disorder, then treated appropriately. Once a client has emerged from acute detox, it is time for a nutrition intervention. This is required to get the client to make changes that are not on their mind and that they would not likely make on their own. 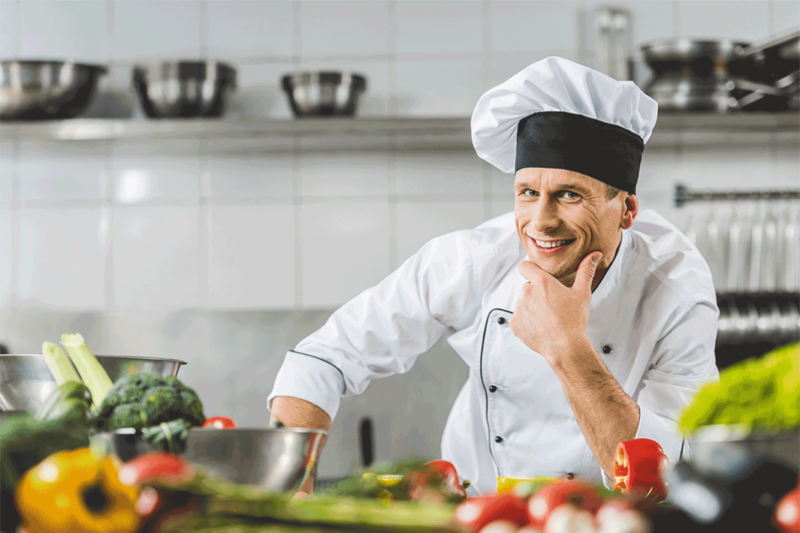 The intervention involves a Registered Dietitian Nutritionist to educate groups, counsel individuals, and help the culinary staff implement appropriate menus for the facility. The Diamond Tree Recovery intervention is designed to reduce the likelihood of addictive eating early in recovery. The goal is to shift the client away from snack foods like chips and fruit snacks, processed foods like frozen burritos and ice cream, delivery food like pizza and Chinese, and any form of fast food. A diet high in fiber and low in sugar may be the difference in recovery outcomes. Also, preventing weight gains of more than 10 lbs. per month may decrease the likelihood that body-image distress will eventually lead to relapse. This is a problem that has received very little attention. Although there may be some resistance from clients, nutrition interventions will play an essential role in the recovery process. Advances in our understanding of food addiction point directly to the necessity of dealing with eating behavior in drug addiction. At Diamond Tree Recovery, nutrition is never used as a penalty. It is framed as a supportive component of the client’s overall recovery. Our focus is always on what to eat (not what not to eat) as a way of crowding out old habits. Let’s take a typical teenager in America eating a typical diet mostly made up of highly processed convenience food (designed more for profit than for nutrition). This diet includes snacks like chips and fruit snacks, frozen foods like burritos, hot pockets and ice cream, take-out food such as pizza and Chinese, and fast food like burgers and tacos. Our teenager has little or no experience buying groceries, let alone preparing food. Completely unaware, food choices are made based on convenience, taste, and familiarity. Unfortunately, The the stomach will not be prepared for the more nutritious fiber found in fruits and vegetables, and there will always be a stronger preference for food that is salty (chips) or sweet, more easily digestible (sweetened cereal with milk). There may be no apparent weight problems, but this can be seen as a form of food addiction because our teen is rejecting foods that do not activate the reward system. This food relationship has permeated our society and is not necessarily an individual problem. Our teenager, now 24 years old, is strung out on crystal meth, heroin, Xanax, and alcohol. The client presents to a typical detox center now 15 pounds underweight. Drugs, the primary source of dopamine stimulation, is no longer available and lost is the ability to feel pleasure. Post-detox we see the predictable increase in substance-seeking, the inevitable search for caffeine, nicotine, and sugar. The client has developed a taste for energy drinks and coffee with creamer and sugar, which he partakes of several times a day. If allowed, the client will likely smoke half a pack of cigarettes before eating anything every day. Appetizing food might be the sole source of pleasure remaining, but there is no interest in cooking. The client expresses an interest in recovering from addiction, a desire to move beyond withdrawal-related depression, and a hope in reducing medications. In the first month of treatment, the client regains lost weight, develops a pattern of night eating, and another new habit of eating sour candy all afternoon. Older recovery wisdom would support a liberalized approach to sweets, nicotine, and caffeine, suggesting it is favorable to get the client beyond the immediate crisis. But new wisdom dictates that this form of behavior is a cross addiction that must be addressed early in recovery. Alexandrah Keenan is a well-respected and experienced Licensed Clinical Social Worker having delivered high-quality services within a wide range of settings to individuals experiencing a full spectrum of addictive behaviors.